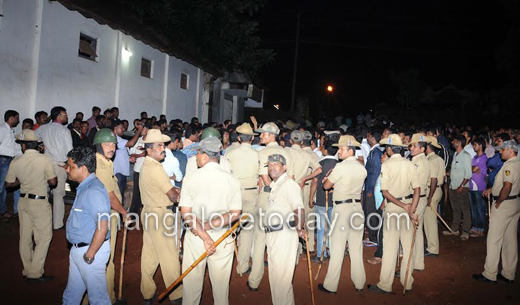 Mangalore, Sep 20, 2014: Heightened tension prevailed in and around Mangalore Rural police station area on September 19 night after hundreds of Hindu activists gathered following the arrest of Bhajarang Dal leader in connection with the assault on youth on Sept 18. 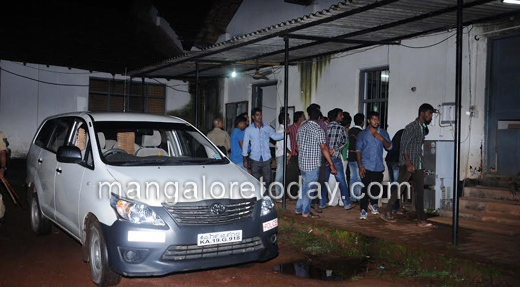 While the Bajrang Dal leaders handed over three of the five accused to the police on the same day, the police managed to trace the six other accused on September 19. 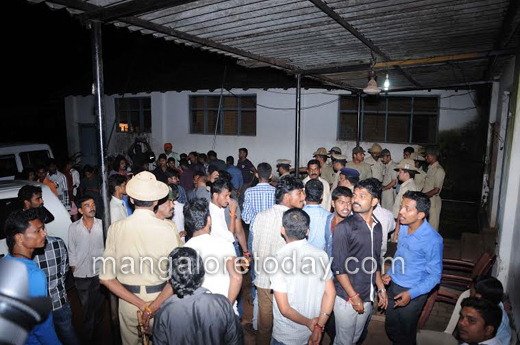 Meanwhile, police detained Bajrang Dal leader Bhujang Kulal and reportedly told other leaders to hand over the remaining two accused, to obtain his release. 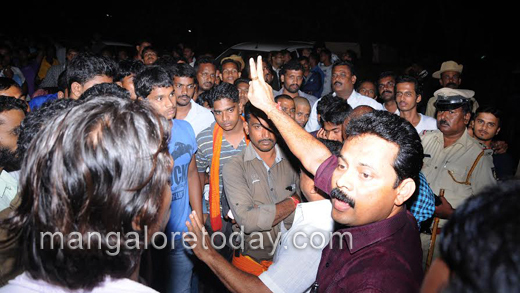 City Police Commissioner R Hithendra visited the spot. Further investigations are on. 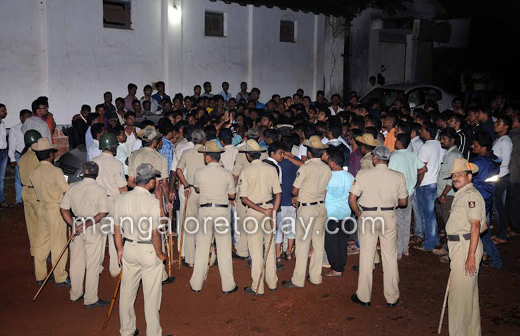 Groups of Hindu activists gathered at Mangalore Rural police station, after the police detained Bhajarang Dal leader in connection with assault on college students. 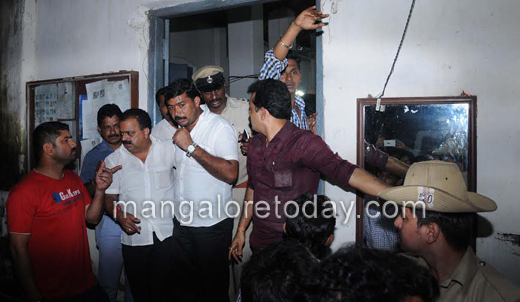 Mangalore Today had reported the incident earlier it may be recalled.